Celeb Luxury Color Colorwash® with Colorposit™ technology. The new category - a scientific revolution in hair color adds rich color while cleansing with hi-conditioning results. These 10 fresh Gem Lites® Colorwash colors can revive your luster-lacking locks in between salon appointments. Start washing in fabulous without fading out! Gem Lites® Fashion Color Care™ - inspired by brilliant gems that never fade. 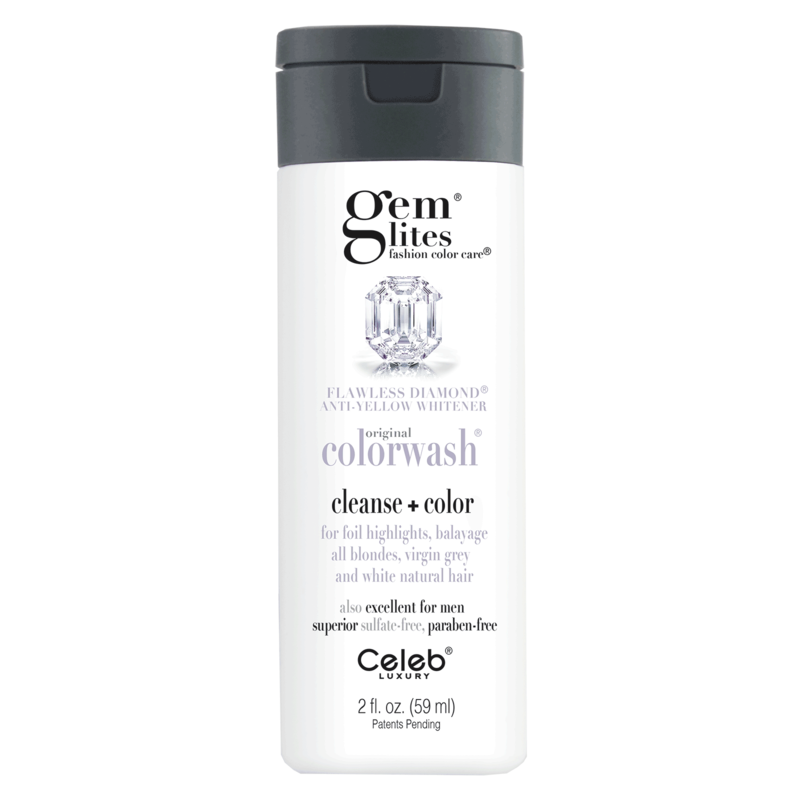 Gem Lites® Colorwash with patent-pending, new advanced cleanse + Colorposit technology. 10 amazing tones inspired by brilliant gems, the most precious, brightest organic colors coming from the earth. Gems are stable and never fade. Superior attributes makes color wash extremely addictive.